At the Mobile Word Congress in Barcelona, Nokia has unveiled its initiative to try and repeat the runaway succes of Apple’s App Store with its own mobile storefront dubbed Ovi Store. This was an expected move as the rumors about the Finnish mobile juggernaut’s mobile applications store already spread last week; they were late confirmed to Reuters by industry sources. That last part, as well as the geo-location features, seems interesting. Ovi Store will include what it calls a ’social discovery’ feature which will enable users to find out which content is being used by their social network peers, as they will automatically be highlighted and made available for download on their devices. Nokia, still the number-one maker of mobile phones until further notice, expects that the store will reach 300 million users by 2012. 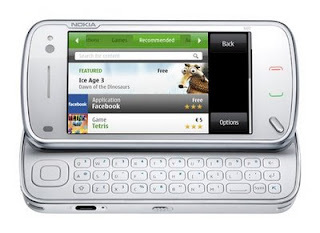 According to The Guardian, Nokia also said 70 percent of revenues from the store would go back to software developers. As from today, content publishers and developers will be able to register for the Ovi Store here, but they will only be able to upload starting next month. The application store will be gradually rolled out, starting next May in nine countries.